On behalf of everyone at Wood Motors Ford we would like to thank you for visiting our web site. We are committed to serving our friends and customers via the Internet and look forward to hearing from you. 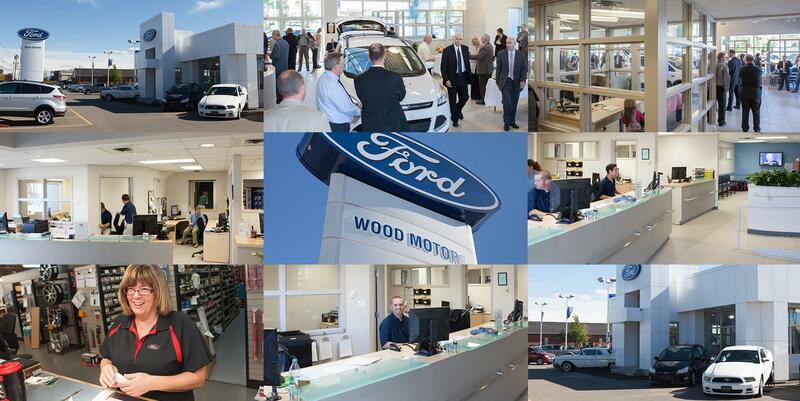 We are a full service Ford dealership offering first class sales,parts and service for our valued customers.Wood Motors Ford has been servicing Fredericton and surrounding area since 1934. Our dealership is committed to your complete satisfaction.Our staff at Wood Motors Ford has one purpose: to exceed your expectations from getting general information, to test drive to delivery, to keeping your Ford vehicle working at its best. Our friendly, knowledgeable sales professionals will provide you with the information you need to make an educated buying decision. Our goal is for you to feel that the vehicle you drive away in is the perfect one for you. Stop by Wood Motors Ford for all your Ford service needs. Questions? Any of our knowledgeable service and sales people can help. Call 855-551-4539.